Community Spotlight: Fan Art by Leonardo a.C. 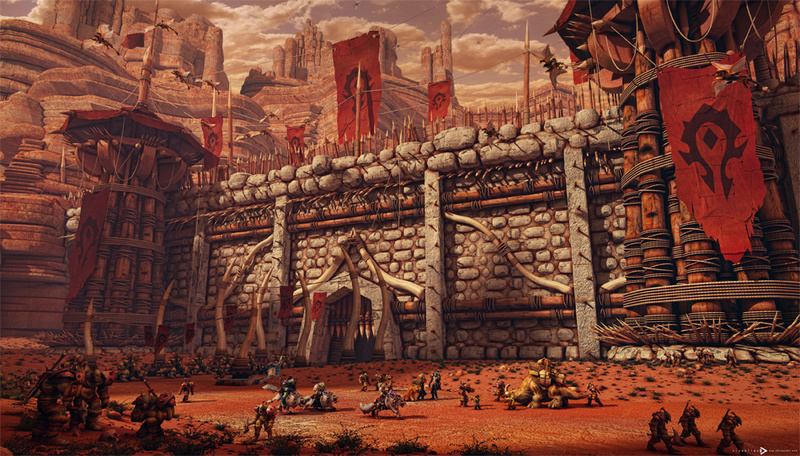 In light of what’s in store in the upcoming Patch 5.4, it seemed fitting that we discovered digital artist Leonardo a.C. and his detailed creation titled “Orgrimmar: Horde Territory.” We were immediately taken by the size and complexity of this impressive piece, and reached out to Leonardo to learn a bit more about his background and work. Crithto: How long have you been an artist? Crithto: The “Orgrimmar: Horde Territory” piece is beautifully detailed and looks like you put in a lot of time to create it. What inspired you? Crithto: How long did it take you to create it? Leonardo a.C.: All told, it took me about 20 days to create this piece, working an average of 4 to 6 hours a day. Crithto: What was your biggest challenge? Leonardo a.C.: Actually, I don’t have a super computer, so my biggest challenge was trying not to run out of memory while keeping all of the details in the scene. I used an Intel Core i7 with 6GB of RAM. Crithto: Are you working on any other World of Warcraft–themed art that we can look forward to? You can find more of Leonardo’s work on deviantART, and you’re welcome to follow him on Twitter and Facebook.